A redesigned Yahoo Messenger launched for mobile last December, and it is now available for Windows and Mac. 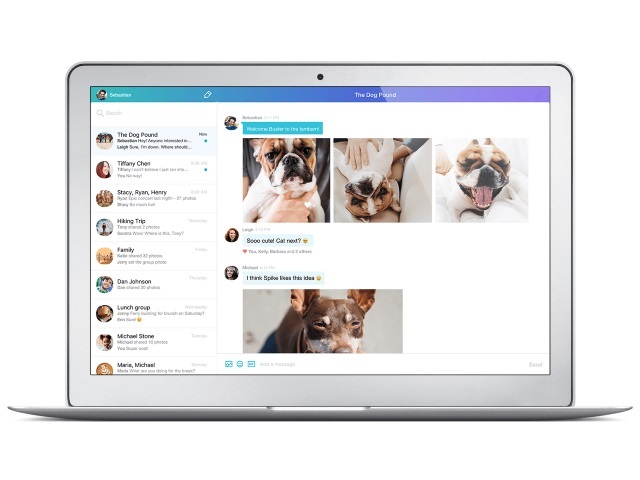 The new Windows and Mac versions of Yahoo Messenger boast the same features as the mobile application, including photo and GIF sharing, as well as the ability to unsend messages. Want to share photos from your latest vacation or simply spice up a message? Save precious time with our drag-and-drop feature to share multiple photos at once. Then spread the love by “liking” any posts or images that stand out to you. If you’d rather reply with a GIF, you can easily search and send GIFs to your heart’s content. Pro tip: Play GIF roulette and type /gif + any search term. With Messenger’s desktop notifications, you can multitask at your computer without having to worry about missing an important message from family, friends or coworkers again. We are also introducing the unsend button–one of our most beloved Messenger features now on desktop. Sent that message too soon or caught a last-minute typo? Now you can take back a message, photo or GIF (yes, even after you’ve pressed send). You can find out more about this exciting feature here. Readers: Do any of you use Yahoo Messenger?